You will have hopefully seen in the last few weeks that Trackhunter now helps DJs and electronic music fans discover the best music released on Bandcamp. So not only can you search for music on your favourite online marketplaces such as Beatport, Juno and What People Pay but also Bandcamp and soon Soundcloud - more will follow about the latter platform in coming weeks. Bandcamp appeared on the web a decade ago in 2007 and has gone from strength to strength in the last couple of years. It is recognised as the leading platform for fledgling and established artists and labels to share their music. The site went live in 2008 after a collaboration between Ethan Diamond and Shawn Grunberger and now hosts thousands of artists and their music. Until recently you could have been forgiven for thinking that music released on such platforms like MySpace, Soundclick and Bandcamp and various netlabels were not the best in quality. Of course the ease of making and releasing music does mean there is a lot of it out there, quite a lot, that is not that good. So digging through the hundreds and thousands of artist pages on the aforementioned sites was not always that pleasurable a task as you clicked on link after link trying to find that perfect beat. For anyone who has used Trackhunter will know, depending on what parameters you use, you can still end up with a lot of tracks to sift through, as we are not going to get away from the fact that a lot of music is released daily. Yet skipping down the tracks and listening to the clips is remarkably quick and easy, creating shortlists and buying the music is very straightforward. 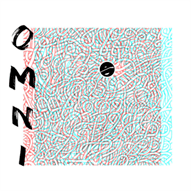 I thought it would be good with the addition of Bandcamp to delve into some of the latest tracks that had been released to see for myself how well this worked. I searched for the week's latest releases via my chosen genres and found just under 2000 tracks were returned to me. Naturally that is a lot to sift through, but going through them release by release on freshly opened browser tabs would have taken me all day. How you search for music normally, whether it be in a record shop, Discogs, Juno etc can vary from what time you have, artist and track names, artwork, so on and so forth. We all have our own personal biases when we search for music. So even as I looked at the 2000 tracks I knew I would not be listening to all of them, so artist and track names gave away that some were not for me. Then there are a lot of album releases on Bandcamp, so if the first two tracks on an album were not of my taste I bypassed the rest, experience teaches you that the chances are there won't be something you like if the genre or general sound is far away from your own tastes. I decided to seek out about 12 or so tracks that I regarded as high quality, the kind of releases I would usually pick up on vinyl. It did not take me long to discover them, I never got through the full list, but that is not to say I was disappointed in that - on the contrary - I was pleasantly surprised to find such great tracks. I had no doubt that Bandcamp had great music as I've purchased records and digital releases on there before. How quick I found so many good tracks was very surprising and has made me want to check out Bandcamp a lot more than I had before. Another great thing about searching Bandcamp and creating a podcast about it was getting to see who these artists were and from which part of the globe they came from. I found music from Japan, Finland, Argentina, Ireland and the UK that had been released at the end of January. I was able to select the 'See it on' option in Trackhunter to open up a web page to see each release which allowed me to find out more about the artist and the master release. The podcast was uploaded last week and you can listen to it here. In addition to the podcast we thought it would be good to dip into some of the superb artists we found and tell you a little more about them. The podcast starts with Monsters by Joel Garden which is a short beaty electronica workout on the Ghost Club label out of Quebec. Ghost Club was set up by Max Gendron and has so far launched over a dozen releases via Bandcamp. Garden has set about putting together a 26 track formally released debut album that encomases smoky jazzy excursions to sundrenched lazy beats and rhymes. It is a thing of beauty that you should check out. I also came across a superb album titled Hologram by A Cosmic Gift under their own imprint. The track Milkyway may have little originality about it beyond the much used James Brown shouts, breaks and stabs but how it is used breathes fresh life into it. The organic elements are what adds to this album and Cosmic Waves is one of the best tracks I have heard in a long time. 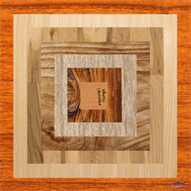 A sublime guitar noodles along the way over the breaks to make for a rich and haunting track, it is a shame that it is one few of the tracks on the album that you can not purchase separately. Nevertheless that should not put you off as for $6.50 in total it is indeed a bargain. MP-57 who hails from France delivers one of the best techno hybrid rave edged tracks I've heard for some time. A heavyweight release that does quite deep and dubby with sub bass elements at times before opening up into something very much reflective of the typical european techno sound. The six track is also available on cassette, a format like vinyl that has seen quite a revival in recent years. 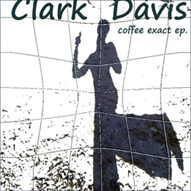 Coming out of Stuttgart and on the Fassade Records we have Clark Davis and his two track Coffee Extract EP. Two excellent deep house workouts with Access and Coffee to Go for the princely sum of 2.60 Euros. A real Chicago feel about the tracks that would go down in any self-respecting house club no problem. 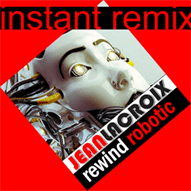 Jean Lacroix who resides in Helsinki, Finland delivers a quality produced four track ep Robotica Electronica. It was so good that I featured two of the tracks on the podcast with S0URC3 (M2M D3m0) and Contact (FL Fleat's Close Encounters of Third Kind re-arrangement) being stand out ones. The album is possibly a work in action as Lacroix explains that he may add more tracks as he finds the time to do so. Nevertheless there are no fillers on this journey through electronica and space age techno. All four tracks could have easily been included in the podcast and there is a notable influence of Kraftwek to be found in the artwork and music. Also this is a 'Name your Price' release, but we strongly advise you give something as this is no shoddy release by a long way. Alien Ran 5 is as you would imagine is the fifth in the Alien Rain series with this two track ep by Milton Bradley based in Berlin delivers expert hot acid cuts. With a feel of Underground Resistance's classic acid releases of the 1990s this is well produced acid techno that is not to hard on the hearing. With over a dozen releases there is plenty to explore and if the rest are like this then you will no doubt find plenty to purchase. The podcast finishes with the quirky but lovely Earthfish out of Tokyo who puts together a collection of weird and wonderful sounds. Not all of the tracks will appeal to everyone but the likes of Wash have a real Four Tet feel to them and the opener, the superbly titled 'Homeless Folk Band' just feels like that. A modge podge of beats, samples and plenty of oddness make it a release well worth exploring. Bandcamp via Trackhunter is no doubt a fantastic addition to the software if you are after fresh new music direct from the artists and labels; and if you do not have a lot of money and time. Many artists on Bandcamp release their music on a 'Name your price' structure, often meaning you can get it for free. I found a couple of releases that did this but still gave a little money to their cause. We suggest if you do find those kind of releases and you really want it and do you really like it, give a little. Whatever you feel you can spare to help the artists and labels continue and if anything show appreciation to their music.